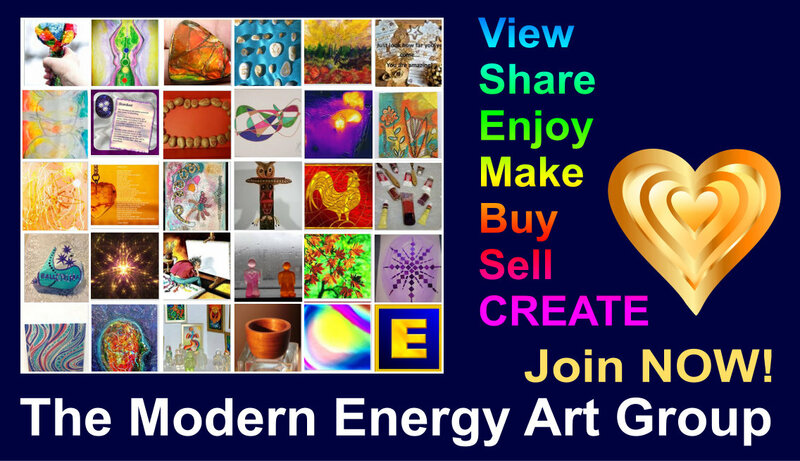 The MODERN Energy Art Manifesto by Silvia Hartmann, President of the Guild of Energists GOE. Symbol Hybrids - Compromise Or Evolution? Oooh what an artist's dilemma! There's the pure art, the really meaningful stuff, where you know what you are doing and you're the best you can be as a good, honest artist ... and then folk say, "What the f***k is that? Which way up is it supposed to be? Is that a beansprout or a surfboard?" The definition of energy art states that any thing that derives from a vision, honestly created, is a work of energy art. The difference between "normal" energy art and Art Solutions is that in Art Solutions, the energy artist "steers" the vision with a question, a query to the energy mind, or a "set up" which may contain many components. Forget for a moment all you thought you knew about "art".